CHANGEOVER NIGHT 2013 - RC Mandurah City Changeover Night was celebrated with a formal dinner at the Brighton Hotel on June 26 2013 and was enjoyed by all the members and guests. Apologies were received from our President Colin and Diane and our thoughts were with them as Colin faces special treatment in Hospital. M/C for the evening was Gareth who called the meeting to order and welcomed our special guests: AG Frank Wheel and Anne; from the Mandurah Club – President Gary Brown and Merle; from the Mandurah Districts Club there was an apology from President Philip Brown but it was a pleasure to welcome Merice Brown and Judy Jefferies; Stephanie, our Exchange student; PP Jack Ricks and Pat, and PP Lance Rock and Hazel; an apology was received from our Honorary member David Templeman MLA, and Gareth concluded by welcoming all-- Rotarians , partners , family members and friends. PP Bill Knight reflected on our fortunate life style here in Australia, as he proposed the Toast to Australia and I offered Rotary Grace. PP Rob West proposed the Toast to Partners emphasising that a most important part of Rotary is fellowship and with appreciation he spoke of the support and involvement in Rotary and its programmes by our partners. M/C Gareth next invited AG Frank to make the Attendance Awards. The “Nearly 100%” awards were made to myself for an 88% attendance and to Carol and President Colin with 83%. Frank thanked the Club for its support of his 3 years as Assistant Governor which will conclude at the District Changeover next week. AG Frank explained how the PHF presentation was established in 1957 in honour of our Founder Paul Harris to express appreciation for acontribution of US$1,000 to the humanitarian and educational programmes of The Rotary Foundation and how Rotarians designate a PHF to recognise someone whose life has demonstrated their commitment to Rotary and its objects. Frank pointed out how the person we would honour tonight has a constant history of work to enhance our community; how their service has involved personal sacrifice and how they had put the community and Rotary first in spite of personal, vocational interest and commitments. 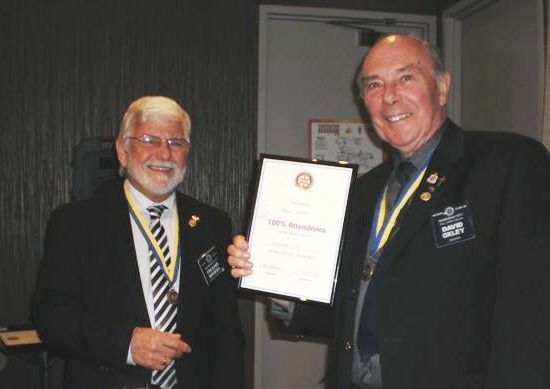 This person certainly has applied the 4Way Test to so many aspects of his life and Rotary service. 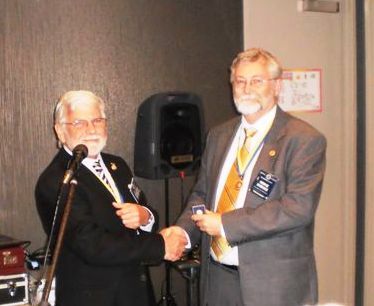 AG Frank then invited PP Mike Kirke to come forward and receive his PHF Sapphire Pin. With a standing applause members congratulated Mike and recognised our newest PHF. In his response Mike stressed the importance of loving Rotary, enjoying fellowship and seeking to get other people involved in service. In President Colin’s absence his report was read by PP Bill Knight and is attached to this Bulletin. 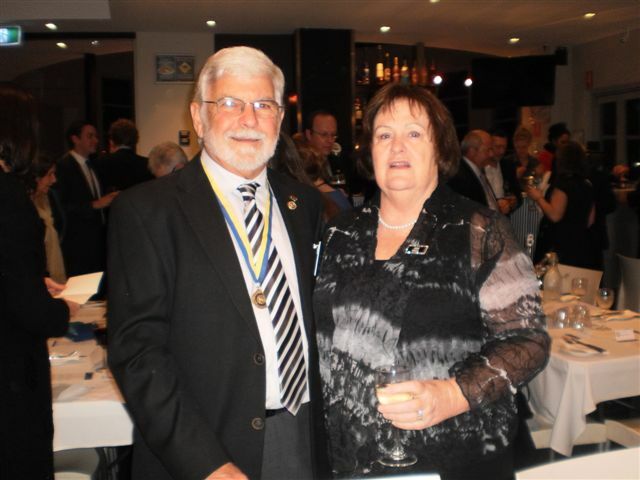 AG Frank invited Sue to come forward and read the Rotary Charge to her as our Incoming President for the Rotary Year 2013/14. 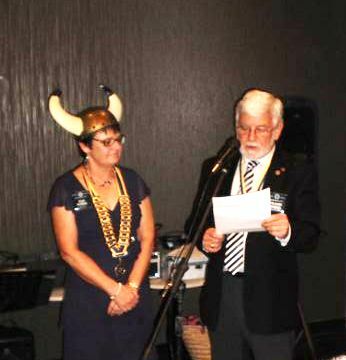 In inducting Sue, Frank presented her with the lapel badge of the Club President, the chain of office and our traditional horned helmet. 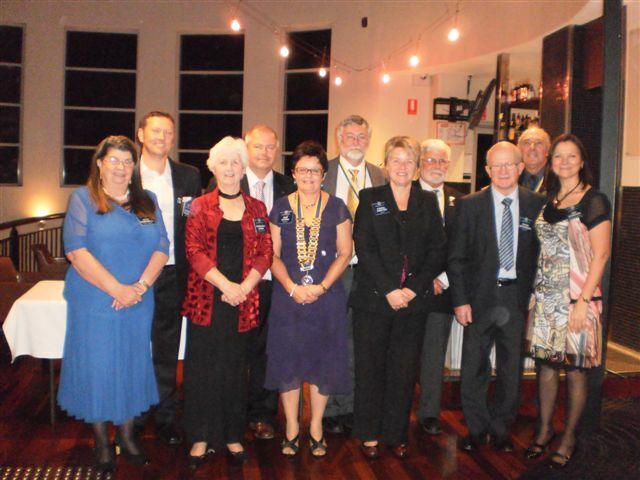 Members rose to welcome the new President as Frank formally declared Sue, President of the Rotary Club of Mandurah City. In her response Sue unveiled the theme banner of 2013/14 and the motto “Engage Rotary- Change Lives”. She expressed her thanks to all who had led her on her Rotary journey especially mentioning PP Jack Ricks. She thanked the Club for the honour of being President and Mike and her family and all her friends in Rotary for their support. Looking forward to the forthcoming year’s programme she made special mention of membership recruitment and retention, youth programmes, vocational visits and the District Conference that will be held in Mandurah. She thanked the Club for its participation in developing the Strategic Plan for the year and reminded members that next Wednesday’s meeting will give further consideration to plans for the year. She announced the first major fellowship and fund raising function “A Night of Intrigue“ to be held 16th August at the Rugby Club. President Sue then introduced the Board members for 2013/4 : Vice President Colin; President Elect Pat (Club/Membership/ Publicity); Secretary Jean; Treasurer Mike; Carol (Community/Vocational); Gareth (International/Foundation); Barbara (New Generations/Youth); and Frank (Fundraising). In addition Peter will continue Attendance; Andrew will be responsible for Program and David will continue with Rotary Information and the Bulletin. Master of Ceremonies and winner of the Rotary stand-up comedy act of the year – Gareth - now donned the Sergeants role and managed to find an appropriate fine for every member of the Mandurah City Rotary Club present – although he had to be reminded that I was a member (I nearly got away with it!). 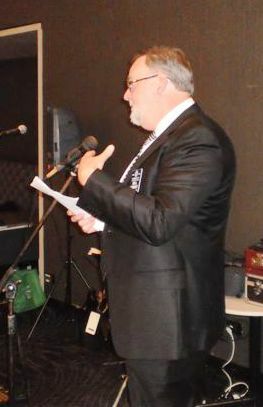 Reciting the Charge to Rotary, Gareth then invited members to sing the National Anthem and closed the meeting at 10.10pm.